Once friends and family hear you’ve moved to Honolulu, everyone wants to come visit. Who wouldn’t want to spend a week in paradise, even if it means couch-surfing for a few days? The difficult part of their visit is showing guests around, as many of us locals have forgotten what makes Honolulu special and distinct from the other islands. Here’s a quick list of things to do -- some free, some cheap, some worth the price -- so that any guests to the islands can see why we’ve moved so far away to the middle of the Pacific. Work and life might have just made you forget our island's natural beauty, but these activities should jog your memory. The hip district of Kakaako was once known for its run down warehouses until a group of internationally known street artists bombed the neighborhood with colorful graffiti a few years back. Now the area is the must-see and be-seen district for cutting-edge street art, cool dining, entertainment and shopping. The art scene includes Pow! Wow! 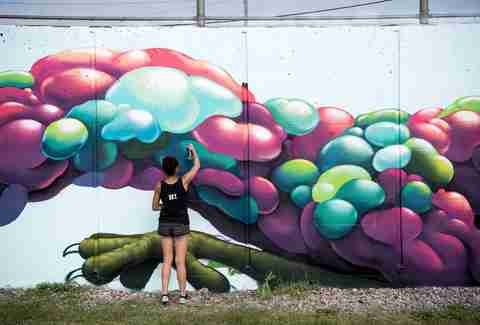 Hawaii -- a collective group of artists that gather for a weeklong event every February to paint new murals over the older ones. After a walk through the area, stay for coffee at the chic Arvo, or go for cocktails and tapas at the posh Bevy. Take your “never been to Hawaii” friends to honor the fallen at the USS Arizona Memorial Park at Pearl Harbor, the infamous site of the surprise Japanese attack that nearly destroyed the US Pacific Fleet. Today the park is a National Historic Landmark with a large museum with many WWII artifacts and a theater that shows a film explaining the events that led up to the attack. You can also take a ferry ride to see the memorial built over the remains of the USS Arizona. Make sure you get there early as tickets to the ferry run out quickly. The visit is free, but for additional fees, you can visit the USS Bowfin Submarine Park and the Pacific Aviation Museum. The aviation museum can only be accessed through a tour as it sits inside an active military base. A hangar at the museum still bears scars from bullets fired from the attacking Japanese airplanes. Hike up the iconic Diamond Head to see the sunrise over Waikiki. The long-dormant volcano once played host to a military base and the century old 1.6-mile trail leading to the top is now a favorite with tourist and locals alike. The two-hour hike is moderately easy with several switchbacks and a steep staircase leading through a tunnel. At the summit, you’ll be greeted with fantastic views of Waikiki and the rest of Oahu. Take note of the lighthouse and the bunkers scattered along the rim of the crater. The hike is free, but parking inside the crater is $5 per car. The park is open from 6am to 6pm daily and the last entrance to the trail is at 4:30pm. Perhaps stop by Bogart's Cafe before you go for a great breakfast or brunch. 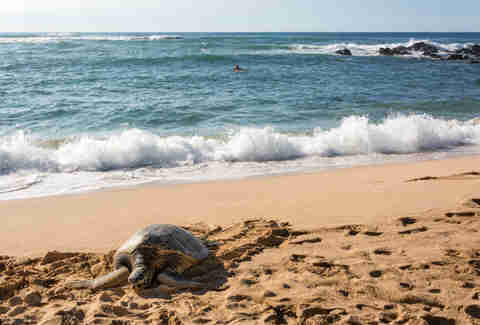 No trip to the North Shore of Oahu is complete without a quick stop to see the sea turtles at Laniakea Beach. The turtles usually swim close to shore munching on seaweed in the morning and bask in the sun on the sand in the afternoon. Note that the beach, found just west of Haleiwa Town, has become very popular with tourists and locals alike, which sadly causes traffic gridlock and parking issues. Sea turtle activist groups usually guard the area and rope off the turtles from visitors. And if you choose to swim at the beach, sea turtles are endangered species and are protected under federal law. Do not interact with them. Oahu has some of the world’s biggest waves in the winter months, and the bravest of surfers gather at Waimea Bay to slide down their monster silver faces. Head down to Waimea, found down west from Haleiwa Town, to see the best of the best. If you are lucky enough, you might catch The Eddie surf contest that runs only when waves reach over 30 feet. In the summer, the bay turns glassy and swimmers can enjoy an almost lake-like experience. After watching the surfers charge the waves, head back down to Haleiwa for shave ice at Matsumoto’s or great burgers at Kua Aina Sandwich Shop. Are your guests tired of the hustle and bustle of Honolulu? Pick up a picnic basket and head down to Kapiolani Park to enjoy peace and quiet in this park located on the Diamond Head side of Waikiki. The 300-acre park, named after Hawaiian Queen Kapiolani, offers unsurpassed views of Diamond Head Crater and the Pacific Ocean. The Honolulu Zoo is just around the corner as is the Waikiki Aquarium, and its Waikiki Shell concert venue often hosts shows weekly. When well-known artists play at the Shell, locals will gather on the grounds outside venue to hear, but not see, the show. The park has ample parking and the beach is just across the street. The amazing hike to Kaena Point at the westernmost tip of Oahu is a must-see Hawaiian adventure. The point is a protected nature reserve and can only be reached by foot. Two access points are found on either the Waianae side or Mokuleia side. Both sides offer relatively easy hikes to the point along the dazzling coastline. Along with the amazing views, you’ll spot lots of wildlife including Laysan albatross that nest on the ground, and if you’re lucky, you’ll likely spot a sunbathing monk seal on the beach inside the sanctuary. Don't get too close to these slumbering giants, as they can be ferocious, and it's against the law to interact with them. There is a beach at the point but no lifeguards. The hike is about 2.5 miles from either side so bring your water and wear proper shoes and clothing. The parking lots on either end have been plagued with car break-ins over the years, so leave your valuables at home or make like the locals and leave your windows down. Every Friday, the beach that fronts the Hilton Hawaiian Village in Waikiki hosts a free fireworks show. The show starts between 7:45 and 8 pm and lasts about ten minutes. Sit in the sand near the stage and watch the fireworks explode above. They'll also reflect in the hotel’s lagoon, doubling your visual pleasure. Show up early to grab a spot on the beach. Traffic and parking in Waikiki can be tough on a Friday night so you can also take your guests to Ala Moana Beach Park to watch from a distance. Every June 11, the state of Hawaii celebrates King Kamehameha Day, named for the king who united all the Hawaiian Islands, with a parade that starts at Iolani Palace and ends in Waikiki. The Royal Hawaiian Band, colorful pa’u riders, or Hawaiian women on horseback who wear colorful Hawaiian style skirts, and colorful floats march past revelers who line the parade route. The day before the parade, participants hold a ceremony where floral leis are draped across the King Kamehameha Statue that sits across from Iolani Palace. The lei draping and the parade are not to be missed. Every Tuesday, Thursday, and Saturday, Waikiki hosts a troupe of hula dancers performing a show on Kuhio Beach at sunset. The show starts with traditional blowing of a conch shell and lighting of torches around the stage. Groups perform different styles of hula dance and are usually accompanied by a group of musicians. People line the beach around the stage and lay out on the grass. A stroll down Kalakaua Avenue any time of the day reveals the best, and worst, of Waikiki. You can people-watch, take a surf lesson, shoot a gun at an indoor range, or just catch the vibe of this funky slice of the Pacific. Food-wise the strip offers everything from burgers to fancy sushi. There’s also free hula shows on Kuhio Beach Tuesday, Thursday, and Saturday at sunset. Street performers entertain in the evening on almost every corner. No culinary trip to Hawaii is complete without enjoy the colorful icy treat of shave ice. Locals enjoy this treat any time of the day and usually everyone has their favorite spot. Shave ice was likely introduced to Hawaii via Japanese plantation immigrants and is simply made by shaving down a block of ice, putting the “snow” into a bowl or cone, and topping with colorful syrups. Matsumoto’s in Haleiwa is world famous for their dessert and people queue in long line any time of the day. Flavors include mango, lychee, and li hing mui, a salty dried plum syrup. You can also get a scoop of ice cream along with sweet azuki beans, and soft rice balls called mochi. Take your guests to Island Snow in Kailua and order the Presidential Snobama made of cherry, lime, and melon syrups. During his many Hawaii holidays, President Obama was frequently spotted at the shave ice shop slurping down the sugary goodness, and grabbing your own is also a fine local date activity. Need to get breakfast for your guests? Get in line at Leonard’s on Kapahulu and bring home a box of sweet malasadas. Locals and tourists alike love these Portuguese-inspired fried donuts rolled in a sugary powder and Leonard’s has some of the best. And like any good donut, they're not just for breakfast, either. 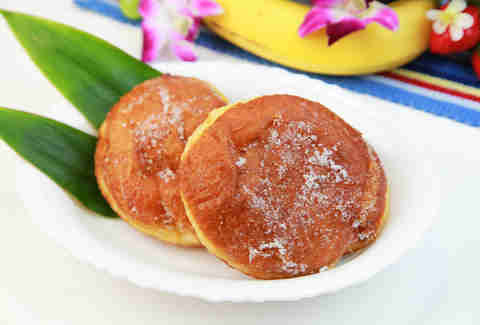 Malasadas also come filled with sweet custards and jams and can be found in many different shops across town. But like anything fried, they don’t taste as good when they get cold so eat them hot. For an authentic take on Hawaiian food, take your hungry guest to dine at Highway Inn, one of our iconic restaurants. Feast on kalua pig, lau lau, lomi lomi salmon, and poi, the ubiquitous purple mash made from steamed taro root smashed into a glutinous texture. Some say it takes time to get used to the taste of poi while others say it tastes better when scooped up with your fingers. Highway Inn serves up some tasty poi along with other Hawaiian favorites. The original location is out in Waipahu and their newer, hipper location is in Kakaako. And no need to clean your fingers, just use a spoon when you eat your poi. After driving your guests around the North Shore, stop at one of the many roadside food trucks near Kahuku and order up plates of buttery garlic shrimp. The trucks are not hard to find as big crowds usually gather around them chowing down on the delicious crustaceans. Giovanni’s, Romy’s, and Fumi’s are some of the names of the trucks to look for. There are several other trucks around Haleiwa that sell garlic shrimp as well. All plates usually come with a dozen good-sized shrimp and two scoops of white rice. They also offer different shrimp plates like lemon butter or hot and spicy and other spots even offer Korean-style short ribs with their plates. Be prepared as the shrimp are plated with their shells on, so make sure you have plenty of wipes so your visitors can clean their greasy fingers afterward. Need to take in a quick meal? Head to Ala Moana Shopping Center and hit Shirokiya’s Japan Village Walk. Essentially, it's a food court modeled after an old Japanese village. Pick from over 30 food kiosks offering everything from Japanese ramen to Indian curries to baked bread goodies. The biggest draw here is the beer selection offered by beer stations that sling drinks for as little as a buck a cup. Friday and Saturday nights get raucous, and it can get hard to find an open table. Don’t forget to see a group of Buddha statues in the back that serves as a guardian spirit sanctuary. Honolulu has a sizeable and vibrant Chinatown that teams with early morning action with vendors selling fruits and vegetables, fresh fish and meats, along with many restaurants offering authentic Chinese food. Take your guests for a mid-morning breakfast at Legend Seafood Restaurant on Beretania Street, where you can order straight from food carts pushed along the rows of tables. Get the steamed dumplings filled with shrimp, bread buns stuffed with char sui pork, and tasty chicken feet. (Yes, chicken feet, and they are absolutely delicious.) All meals are served with a complimentary pot of Chinese tea as well. If you come with a large party, you’ll be served on a table with a Lazy Susan so you can pass along the dishes to one another. Legend is very popular and waits can be discouraging. 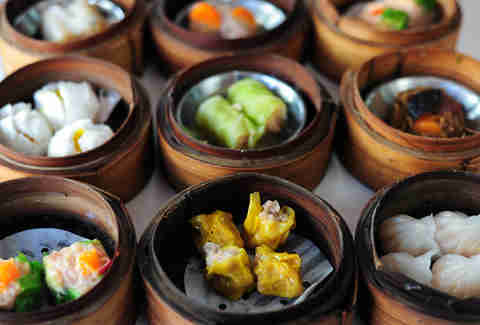 There are several other dim sum restaurants in the same complex including Fook Lam, another well-known spot that serves an array of tantalizing dim sum. Apart from Japanese sushi, most folks don’t usually eat raw fish. But Hawaii is famous for our unique treat of marinated raw fish called poke. Pronounced po-key, the traditional Hawaiian dish consisted of basically fish scraps mixed with sea salt. Asian immigrants added soy sauce and sesame oil, and now the dish is found almost everywhere. Poke is usually made with cubes of ahi, or yellowfin tuna, and mixed with onions, seaweed called limu, and various spices. It can also be prepared with boiled octopus, which is locally called tako, tofu, and raw crab. Poke can be picked up at local grocery stores and fish sellers across the island. Some of the best spots are any Foodland grocery stores, Tamashiro’s Market, and Kahuku Superette. Kualoa Ranch, on Oahu’s east side, has been the background for many iconic Hollywood movies and TV shows for decades. Jurassic Park, Hawaii Five-0, and Lost are just a few big shows to mention. Take your friends on a movie site tour at Ranch. The tour will take you to find Godzilla’s footprints, the road site from 50 First Dates, and many other famed locations. Kualoa Ranch also offers jungle expeditions and a trip to a beach on a secret island. Take your guests on a guided tour at Shangri-La, an ocean-side home owned by the globetrotting heiress, Doris Duke. Built in 1937, the home was heavily inspired by the heiress's travels through the Islamic world and the Middle East. The estate sits in the posh Kahala neighborhood and was built and furnished with items imported from Iran, Syria, and India just to name a few of the influential countries. The home has a central courtyard, gilded ceilings, wooden paneled walls, mosaic tile work, and Persian carpets. You can also check out the Hawaiian fishpond and tropical garden on the estate. Duke was a trendsetter and lived the life of luxury at her slice of heaven in Hawaii. The Honolulu Museum of Arts offers guided tours Wednesday through Saturday and takes about 2-3 hours. Set sail with one of the many catamarans that line up along Waikiki beach that offer booze cruises at sunset. Cruise along the coastline and enjoy unlimited beer, wine, and house-made mai tais. Along the way, you’ll spot surfers, the occasional spinner dolphins, and sea turtles. In the winter months, you might even catch a whale breaching in the distance. The small crew serves as your bartender and the trips are infamously known for singing, dancing, and a lot of fun. The catamarans hold about 50 people and by the end of the 90-minute trip, you’ll have met everyone but you’ll probably forget their names the next morning. 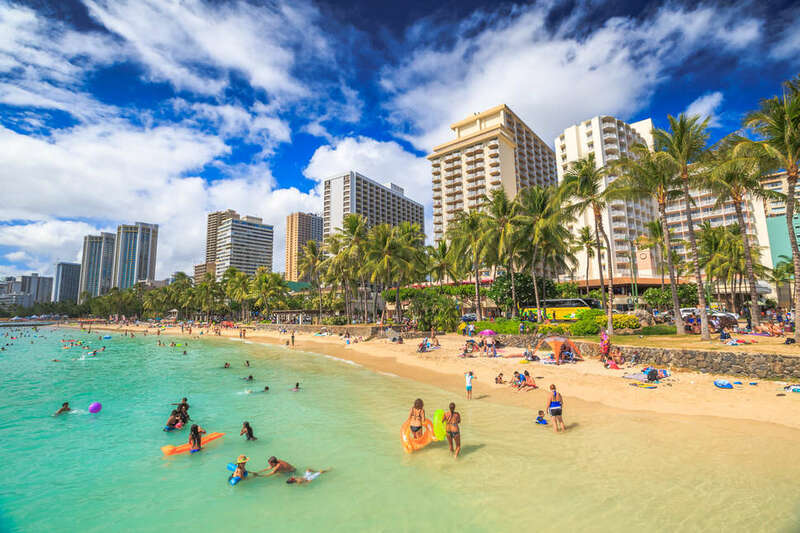 You can find several companies that offer these cruises along coastal neighborhoods like Waikiki, Ala Moana, and Kakaako. Yes, the Kahala Hotel and Resort actually has a whole program dedicated to interacting with dolphins. 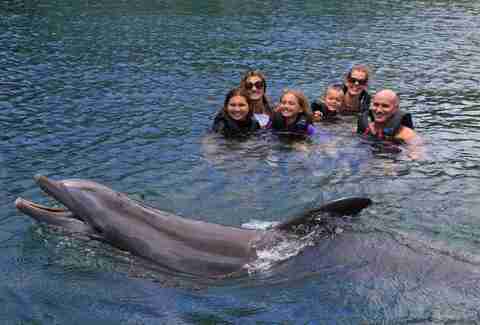 The property hosts Dolphin Quest where visitors can get face to face with the beautiful aquatic creatures. For about $200 (prices vary depending on the package), you can swim in a man-made lagoon while dolphins perform around you. Or you can become a trainer for a day and feed the intelligent mammals at this magical experience. Each visit supports important marine conservation, so your dollars are going far during your visit. The controversial history of the Hawaiian monarchy starts here at Iolani Palace. Built in 1879, Iolani Palace served as the official residence of the Hawaiian monarchy until 1893, when a group of businessmen, supported by the US military, led a coup d’état to overthrow Queen Liliuokalani and imprison her inside the stately premises. The palace remains a somber reminder of Hawaii’s controversial past, but the building is still a stunning testament to history. 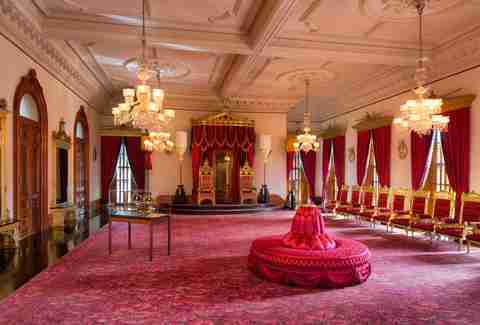 Take a tour to see the golden throne room and its majestic chairs, as well as the music room on the second floor that displays items given to King Kalakaua during his reign, including several large elephant tusks. The room in which Queen Liliuokalani was held displays the quilt she made during her imprisonment. Tickets can be purchased onsite or online, starting at $20 a pop for the self-led audio tours. Several craft brew pubs have popped up within walking distance of each other in the hip industrial warehouse district of Kakaako. Uber you and your visitors down to the area and traipse through the Aloha Beer Company, the Brewseum, the Waikiki Brewing Company, and Honolulu Beerworks. Each spot brews up specialties like the Cocoweizen, a coconut hefeweizen found at Beerworks, and the Skinny Jeans IPA at the Waikiki Brewery. The Brewseum's building was once home to a military museum, and many of the items are still on display. Along with its tasty beer, Aloha Beer also houses the “secret” speakeasy called the Hi Brau Room, which offers craft cocktails. Each brewery is easily reached by foot and serves food, so no cars or additional stops required on this boozy tour. Entertain your guests at one of the classiest beach spots in Hawaii at the House Without a Key restaurant at the famed Halekulani Hotel in Waikiki. Sip perfectly crafted mai tais as you watch a hula dancer sway under a century-old kiawe tree as her accompanying three-piece band softly sings songs from old Hawaii. There's nightly entertainment, and along with pupus, the restaurant also has a full menu serving prime rib and Kona lobster. If you're over sushi and spam, head to the superb Budnamujip for high-end Korean BBQ. All seating has tabletop grills where orders of short rib, rib eye, and tongue are cooked to perfection over hot coals. Unlimited banchan, or small dishes of Korean veggies like kimchi are also served during your dinner. Make sure to share a bottle of soju, or Korean rice wine, infused with cucumber or lemon. This place may be pricey, but it's worth it. Transport you and your guests to Tokyo for an amazing gastronomical experience at Sushi Ginza Onodera. Found a few minutes drive away from Waikiki on Kapahulu Avenue, this tiny seven-seater sushi bar serves up some of the best sushi this side of the Pacific. The restaurant flies in Japanese regional seafood specialties like sea urchin and hairy crabs from Hokkaido, and each plate is immaculately prepared and presented. The chefs will use samurai-worthy knives to butcher huge chunks of tuna at the counter. Reservations are necessary, and the menu is limited to omakase -- Japanese for whatever the chef chooses to serve. This is a wallet buster, so be prepared. Once you're done with the surf and sand, there's a rich history of the ancient Hawaiians preserved and presented over at Honolulu's Bishop Museum, found just west of town in Kalihi. Founded in 1898, the expansive museum houses the largest collection of Polynesian artifacts along with numerous natural history specimens. Check out the Hawaiian royal heirlooms on display, along with the lei niho palaoa, an adornment made of braided human hair wrapped around whale teeth that was worn by the nobility. It's a great spot to learn about the first navigators, volcanoes, surfboards, and the many cultures that stretch across the Pacific, all for just $25 general admission. Sign up here for our daily Honolulu email and be the first to get all the food/drink/fun Oahu has to offer. Marco Garcia is a freelance writer and photographer in Honolulu who will do almost anything for eggs.